Wow. It took me two days to complete this post from curating, shooting, and writing! Presenting my most anticipated round up of the best make up and beauty tools of 2017! I had a hard time choosing because there were a lot of good products, but at the end of the day, we only go for the best. Read on and find out my top beauty finds for 2017 and will surely bring with me to 2018! - Mattifying and holds make up well; perfect for oily skin! - Texture is a solid balm with a silicone feel to it; it's lightweight, blurs pores in an instant, quickly mattifies skin, and does keep makeup intact for hours with very minimal fading; I've noticed that on the side crevices of my nose, foundation would stay on longer if I have this on. The only con is the form of the product; takes an effort to get some product to put on your face. - I love everything about this primer; For one, it's affordable...Two, the packaging is LOVE- reminds me of Super Mario! Third, the quality of the product is good. Fourth, the performance is very good: it smooths skin really well, helps my makeup glide and come out more flawless, and has impressive oil control at 5 hours- 6 if the weather's cool. Finally, despite the tough staying power and oil control, this primer feels comfortable and weightless on the skin. - While most primers for oily skin are outright silicone, dimethicone, or seals pores shut, Prime Primer matte feels like a powdery emulsion; it's light and nice on the skin, nothing clogging, heavy, or 'warm' on the skin. It has a faint floral scent and goes on smoothly; it feels more like a matte moisturizer than a primer and that's what I love about it. - Unlike most primers that feel sticky or absorb eyeshadows to a point that they become 'unblendable' (yes I made up that word), this primer provides the right kind of finish that locks eyeshadows in place while still allowing you to blend them properly. 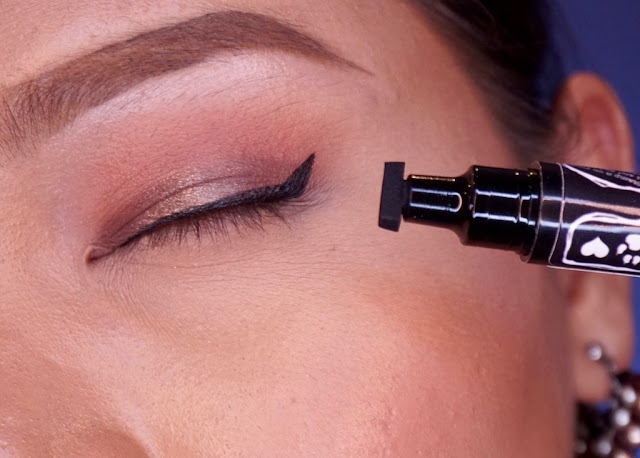 As shown in this photo, it does intensify eyeshadow colors! Staying power is very good: my eyeshadows can last for more than 8 hours with minimal creasing. Take note I have oily lids. - I'm loving the coverage Pro Coverage foundation gives that I do think it's a good alternative to MUFE's HD Foundation; I still love MUFE's Ultra HD Foundation and I'd go for it in a heartbeat, but to budget beauties who want a lightweight foundation with good coverage, not to mention looks good in person and photos, I would recommend this. - Love, love, love this foundation and because of it, I am fervently wishing that we will have Milani in the local shores soon! Conceal + Perfect is lightweight and bearable despite the heavy coverage, therefore it is perfect for the intense Philippine heat and for any skin type, but super oily skin must wear it with a primer for extra hold. 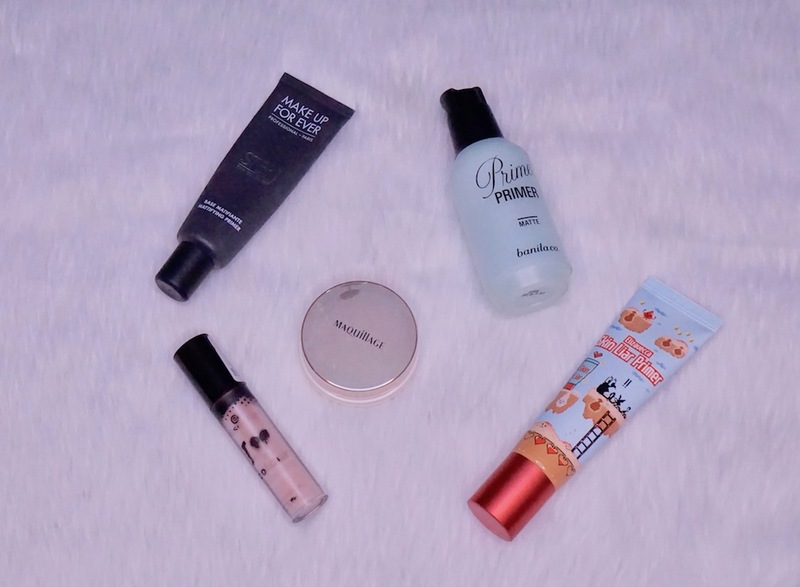 Beauties on a budget who are looking for a heavy duty foundation that won't hurt the wallet and won't look heavy and thick will love this too! - This stuff is legit; this is why I hold Japanese beauty brands in high regard. Synchro Skin's texture and performance is ideal for our tropical weather and for combination, normal, and moderately dry skin. For dry skin, moisturize prior usage because formula is matte. - Fenty Beauty Pro Filtr Foundation is great; love the coverage, consistency, shade selection, and staying power; can work on moderately dry skin (just moisturize), excellent on combination oily/normal skin, and will work even on very oily skin provided that a primer is used beforehand; everything about it is great for tropical climates such as hours. 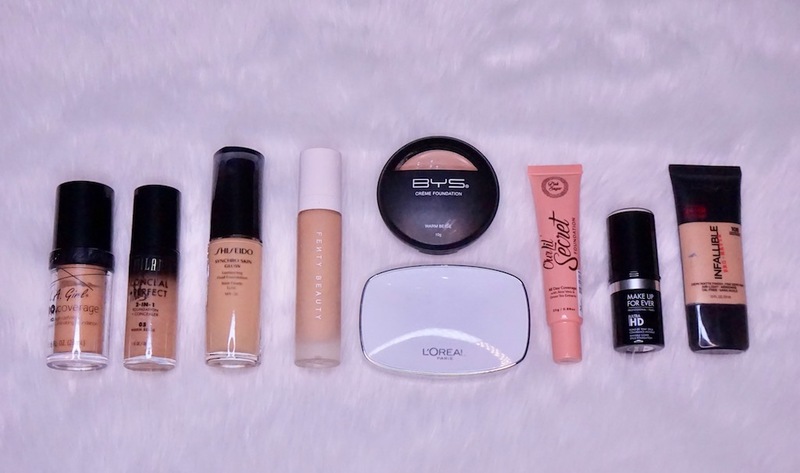 - BYS Creme Foundation is a good product and I don't mind having it as an affordable alternative when I hit pan on MAC Full Coverage; finally, an awesome drugstore foundation! I recommend this product to those who have oily, blemished skin and even dry skin because of its emollient feel. - This product is perfect for those who are on the go all the time, but need great coverage. One swipe and skin is magically amazing! - The foundation sets on the skin like...SRSLY. Once it sets, it is no budge and will take 5 hours before oil seeps through the makeup (but it doesn't choke your skin or something like that). Indeed, long- wearing AF and outstanding at oil control, plus yields medium to heavy, look-ma-no-concealer coverage. - Full coverage yet natural- looking, this handy product is your concealer, corrector, and foundation in one. - Foundation holds up the whole day on my combination oily/normal skin, plus it's pretty lightweight: it doesn't clog my pores and doesn't make my skin feel as if there's a layer of foundation on it despite the full coverage. I wear this on on-the-go days, most especially if I'm required to travel around the city and the sun is scorching hot because dang, this baby has really impressive staying power! 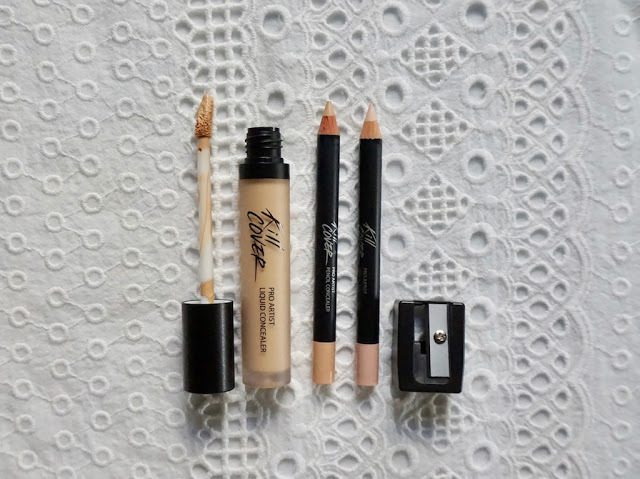 - This is a concealer that's really worth the hype because it's simply AMAZING and affordable! Would love to buy one asap! The Saem's concealer is perfect for your if you're on a budget, but you want a concealer that's pigmented and hardworking at the same time! - The concealer has eradicated my dark circle and lifted my look all while looking skin- like; it sets efficiently, giving you enough time to blend it out. Does it need any special application technique or tool like Lock It Foundation? None! Texture is very user- friendly; I apply it straight from the tube dab on a finger to set, set with powder, and I'm done. - A very long- wearing, almost waterproof concealer that conceals and corrects; can be used on the face, body, and under eyes. - The coverage is very good: it effectively concealed my dark circle without the unnatural, caky look, lifted the look of my under eyes, gave it a smoother appearance, and it freakishly lasts the whole day too. I'm in love! - Concealer has a rich liquid consistency, making it such a dream to blend and easy to layer on the skin. One swipe and it delivers impressive coverage, immediately smooths the skin texture, lifts the look of the skin, and brightens dark circles. - What's lovely about this concealer is it blends well, doesn't need a lot to provide great coverage, and for the staying power? OMG. I use this at Crossfit all the time because it doesn't budge, but doesn't dry out my under eyes! 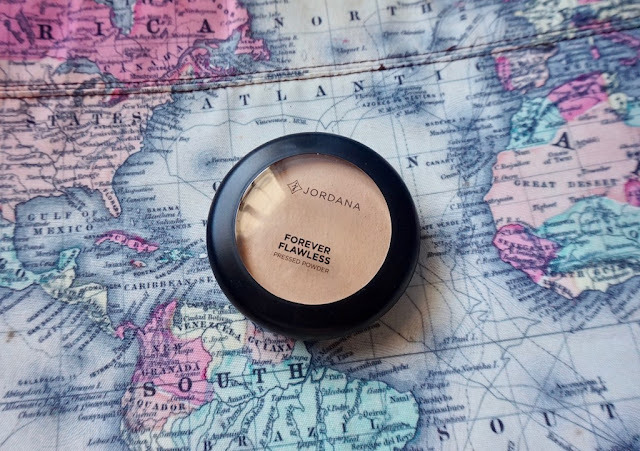 - The powder has a soft, silky texture; it's a low- dusting powder that's unscented, lightweight, and softens the texture of the skin as it sets makeup. - I love how the powder immediately sets foundation effectively and even with just a tiny amount. Even if it's dry to touch, the powder doesn't feel drying at all on the skin. I have also observed that it can keep oil at bay for up to 5 hours plus I can't get enough of how silky, soft, and smooth it feels on the skin! 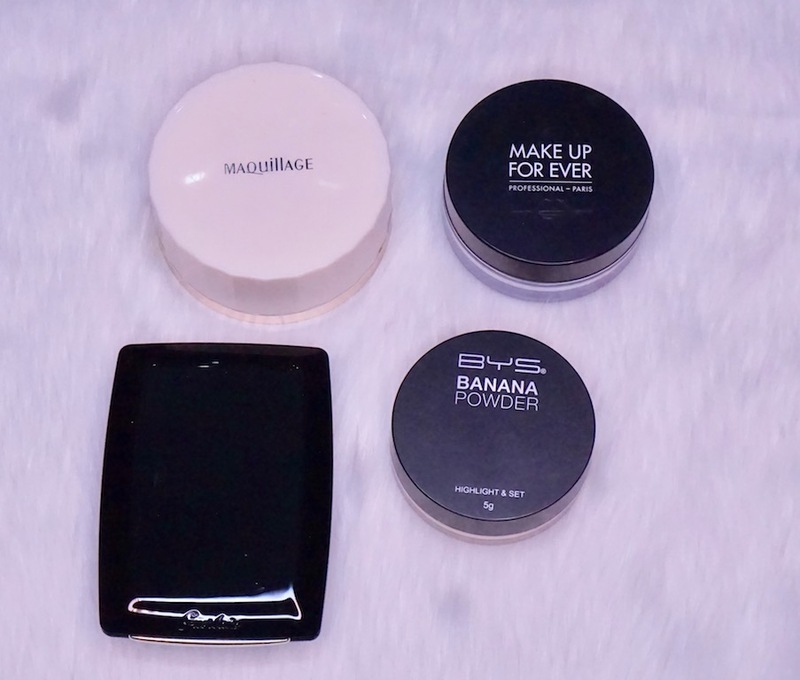 - So if you're looking for an alternative to Ben Nye Banana Powder and something that will correct pink- toned foundations, not to mention help makeup last long, this will do the trick! - The powder is smooth and silky; it goes on evenly and doesn't crumble; I like how the powder can blur out lines and even out the skin yet still leaves skin with a natural and fresh finish. Coverage is light to medium. Beige Moyen 04 is a medium dark shade with a yellow undertone; it is the darkest shade we have locally and my match. - I love using this product more as a corrector because it does the job very well in that department. Overall, it's a good everyday powder for normal skin and slightly oily skin, plus I like that it is versatile; I'd also like to point out that since it has good coverage, it can be used on its own; just use primer to help intensify its coverage and improve staying power, and you're all set; it's a good, lightweight summer base and all- around foundation shade perfect-or!! 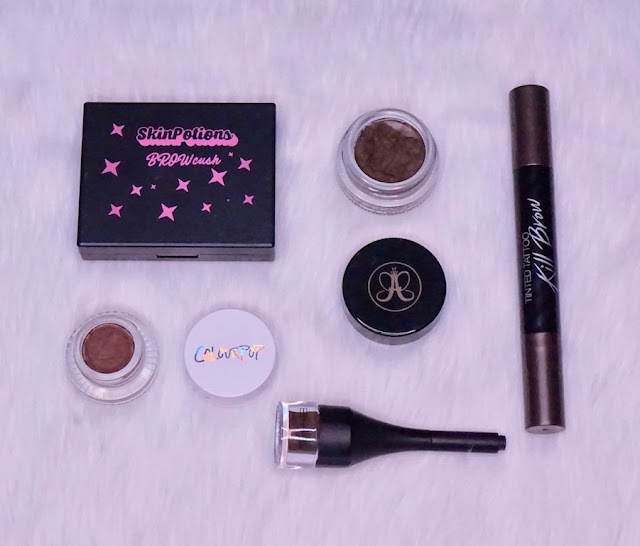 - Skin Potions Browcush Brow Cushion is the first of its kind I've tried and I've been using it ever since because it's so convenient and lets me do a lot of brow looks and finishes! - The product goes on smoothly and is very easy to spread, thanks to the mousse texture. I like that it doesn't stick to the hair strands, doesn't feel sticky nor stiff, and the shade Redhead pretty much fits my hair color and skin tone. It does have incredible staying power, as with most of Colourpop's products. - This product is great for creating sculpted, dramatic brows due to its pigmentation, but if you're skilled enough to handle such products, you can create a natural, everyday brow like the one in the picture; if you have a heavy hand, however, you will need to practice more with its formula. - I'm pretty happy with this discovery; it's a great brow gel, perfect for ladies who want long- wearing, dramatic brows like me. 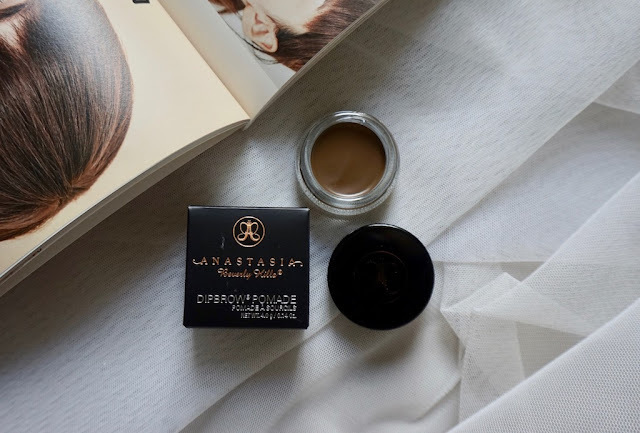 I use it on days when I want to prolong the life of my current HG brow gel, Anastasia Dipbrow! - How's the staying power? INSANE. It can withstand water, sweat, oil, a tough workout, and even the ocean (used it in my Siargao trip!). I'm using it practically everyday because it's easy to use and long- lasting; it's so long- lasting that it leaves a tint even until two days after! - A high quality yet fairly affordable contouring palette with 3 contouring powders and 3 complementing highlighting powders. It's also a good dupe for KVD Shade and Light contour palette. 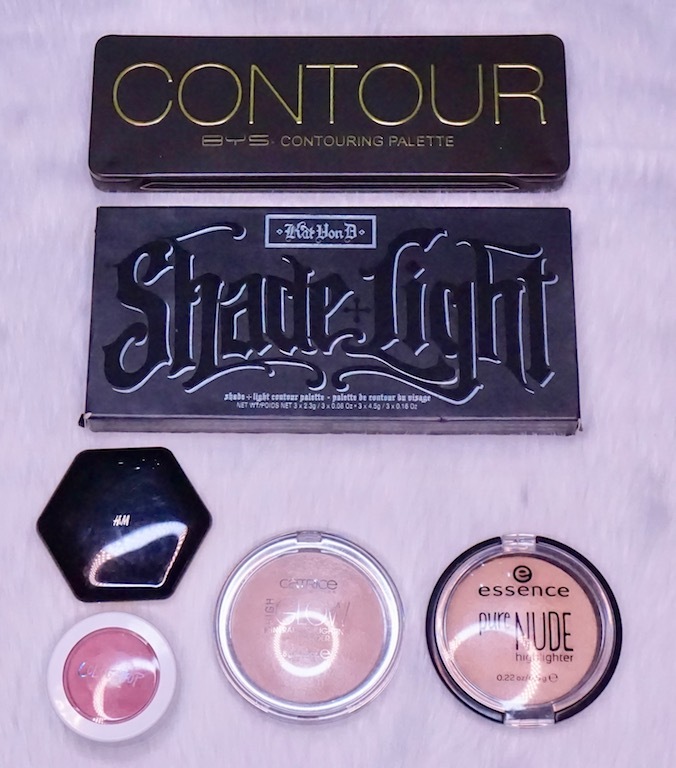 - The powders are VERY pigmented and I say this with conviction - a tap of the brush on the pan is enough to pick up the right amount of powder to contour or highlight your skin. These are also pretty unique matte powders because they are soft and silky, yield no fallout, and blend smoothly and naturally onto the skin; they're long- lasting too. - It's not that cheap at P799.00, but as I said, it's a good dupe for the texture and quality of MAC's powder blushes, which are more expensive, btw. - Aside from being convenient, this does not need any powder setting for it to last long; Colourpop's blush has a staining effect and on my combination oily-normal skin, it stays with minimal fading. This has got to be the most legit cream-to-powder blush I have ever owned. - The highlighter gives off an obvious strobe, but it's not tacky; in fact, it makes regular makeup looks look glamorous; there's a bit of shimmer in the highlight so to those with oily skin, don't apply on your T-Zone area; the tip of the nose should be fine. - When I swatched it on my hand, it looked incredibly even and smooth, and while it is pigmented, coverage can be built gradually and it won't look sheer or stark right away; finish is more of soft metallic than shimmery or frost, which gave me the feeling that it will look more natural on the skin. This got me wondering, is this really P239 only??? - The powders have a surprisingly creamy finish and they're buildable; very easy to apply, blend, and colors appear true to the skin as they are on the pan. I was pleased to know that this lasts long too even it's humid and on oily skin! If you want to glow on a budget, I'd definitely recommend this! 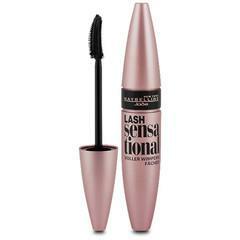 - A volumizing, long- wearing mascara that gives full, fluffy lashes that look natural. - An intensifying, defining, volumizing mascara with a waterproof formula. - Eye line made by Perfect Black Liner; the brush is really nice and it's the reason why I used this everyday; it does help create solid, clean lines, whether it's thin or thick. - The product has medium to heavy pigmentation; it has an ink smell, but goes away after a couple of seconds. No stinging and the product dries up with a bit of sheen. This one is very long- wearing. - The lipsticks have a creamy texture, full coverage, and good staying power; it has a demi- matte finish. I appreciate that it still looks kinda' matte even if it's creamy, unlike some brands that claim their lipsticks are "creamy" matte, but obviously look satin or heck, glossy. 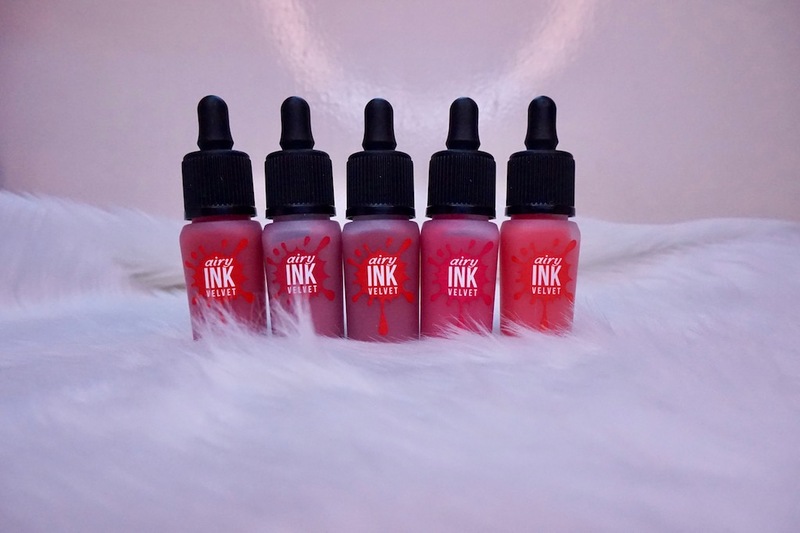 - Peri Pera Airy Ink Velvet has mousse- like texture, which gives it a soft matte finish. When you swatch the product, there is a noticeable transparent barrier of moisture, which I think moisturizes the lips all throughout wear; I also think that it helps lock down the pigments and control distribution so you can create a beautiful ombre lip look; by the way, this lip color line is PERFECT (caps lock for emphasis) for creating the ombre lip look. 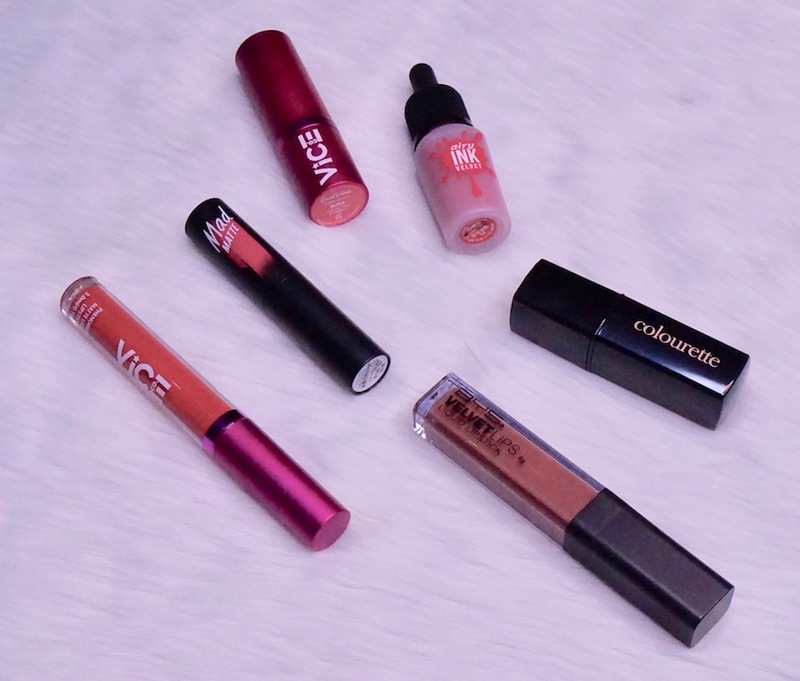 - The lipsticks have a flat matte finish; reminds me of Kylie's liquid lipsticks; texture is a bit grainy like Kylie's, but I find that Vice's more bearable. Pigmentation is medium to heavy and the lipsticks set into a matte finish in about 1-2 minutes after application. - The lipsticks have a soft, buttery formula and semi- matte finish; one swipe delivers great color payoff and it feels really soft and smooth on the lips. I have dry lips and I found this really tolerable to wear and my lips didn't flake. It has a light floral fragrance and the balmy texture gave a little volume boost as well. - Colourette's lipsticks leave a staining effect; your lips are still covered with color even if the lipstick wears off. Staying power is okay; it has to be retouched after a meal just because the products have a naturally creamy finish, except for LiqLacquer, which, btw, has pretty good staying power. - Texture is a semi- creamy liquid and is virtually unscented; pigmentation is medium to heavy and feels lightweight on the lips. Finish is soft matte. One amazing thing about it though is the staying power: it stays put and comes off gradually - the lipstick even remains 80% intact even after a good meal; great for those who dislike retouching. - Peach is a tough color and most don't show up nicely on the skin, but BYS Peach is amazingly an opposite of that; if you want bold peach color that shows up nicely and accurately on the skin, this palette is right up your alley. 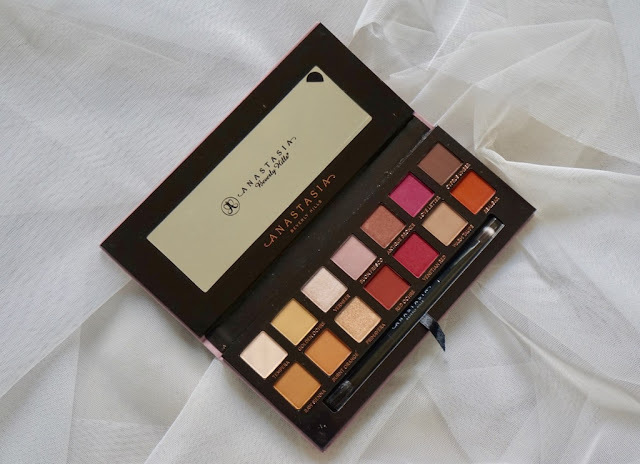 - BYS came to my rescue when they came out with Berries palette, which to me is currently the perfect dupe for ABV Modern Renaissance in terms of color selections. - I can go on and on about how much I love this palette; it's an all in one palette that lets you switch from a neutral to colorful look in an instant, the colors are true on the skin as it does on the pan plus they look good on all skin tones, and its texture is amazing!!! - I'm absolutely in love with the orange hues! Definitely one of the truest (if not the only; can't remember lol) orange shades I've encountered and they look genuinely orange on my lids. I also love that the palette flatters my morena skin so much. - This is currently my travel and everyday eyeshadow palette because it's handy; I have it in my bag everyday. The colors flatter my skin tone so well and it's such a no- brainer product; I can be half awake and still achieve a wonderful eye makeup with it. 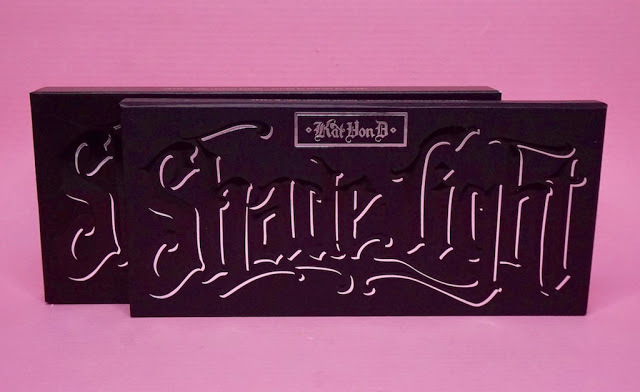 - Kat Von D Shade and Light Eye Contour is one of the best matte eyeshadow formulas I have tried and Sage is a wonderful formula for those with warm skin; if you're morena and looking for a good forest green matte eyeshadow, this palette has an amazing one! 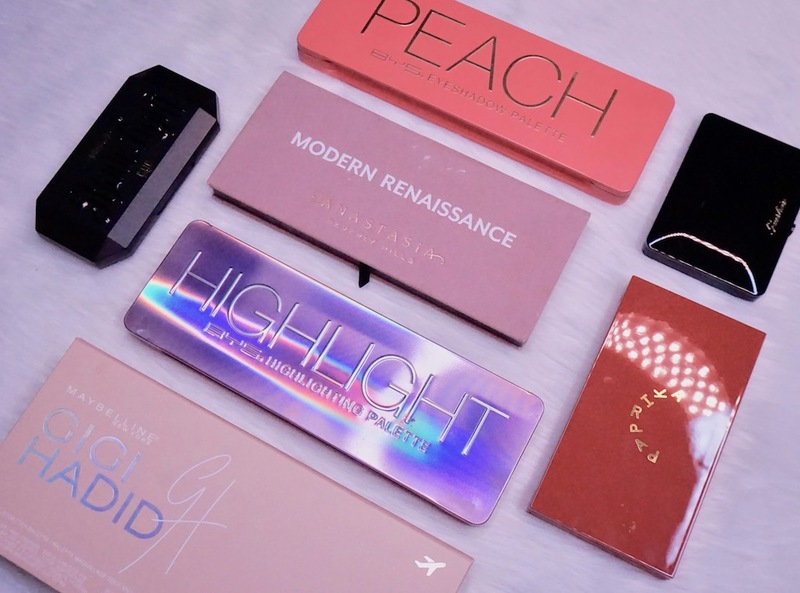 - I would highly recommend the Jetsetter palette because I love the selection of the products, the highlighter is amazing, and there's the Colossal Mascara. - Cream- like, super pigmented highlighters that give a natural or dramatic strobe. - ....these lightweight, superb falsies that look and feel expensive are nowhere near pricey; a box starts at P70.00 only! - The false eyelash brand that makes really natural- looking and beautifully- fanned out false eyelashes. - Dries up quickly, leaves no residue, non- sting, and stays put the whole day. - A manual cleansing tool that makes washing brushes easy. - A high sparkle, cosmetic glitter that's great for the hair, face, and body. Doesn't hurt the eyes in case it gets into them and the glitter primer effectively holds the glitter in place for hours. - Overall, this is a great collection because it made SFX more accessible and affordable, plus there are products that I once wish were available, but not, and are now finally here. - A good dupe for Make Up For Ever's color palette. Helps create avant garde looks and can also double as base for colored powder products and as corrector. 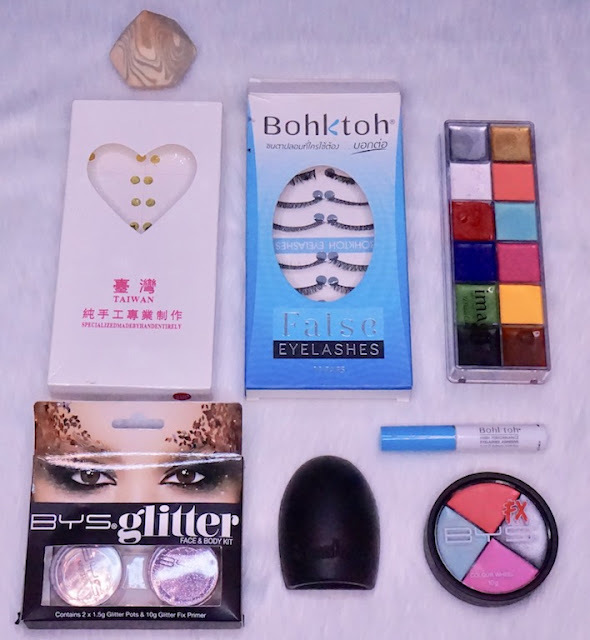 - The sponges are EXTREMELY soft and have no odor; no breakout whatsoever and they're very easy to rinse and dry up fairly quickly; they also tend to swell like Beauty Blender and makeup blending sponges I've tried, thus they can cover more skin in one go. - Overall, I love this thing because it made my life easier by saving me more time from washing brushes. Time is important to me because I have a lot of stuff to attend to. So glad that finally, this product came to the Philippines. This is one of the Internet sensation products that's worth the try! That's all for today, folks. Tomorrow, I'll share with you my list of the best skin care, hair care, fragrance, and nail products of 2017. Do you agree with list? Share your best beauty finds for 2017 too! Wow what a detailed list of the best of 2017. I am glad to see my fave BYS products make it to the list such as the Banana Powder and the Creme Foundation. Even though I posted a comment, I am rereading this post again, particularly your reviews on the products. Thank you for making makeup easier for us ladies, Ms Martha! Have a great 2018! That's was a very great info Ms. Martha...a very big help for all the women like me who fond using make up, aside that this article is very interesting to read, well not just to read but can be a great compilation...seriously! I must say that all the products form high end to a very affordable one, is a saw on the list and it was a very good at all from the description on how the products works, your favorite and the reason behind it and lastly a hints on how pricey or affordable the products...that's was my favorite and one of my main concern too. I know most of the girls would relate to me on that matter especially those who are on a budget, well minsan din nman I got to rewrd myself na mdyo pricey but un tlga un inaasam ko like un Mac lipstick n Ruby Woo....I know n hndi gnun kgnda xa because nakakadry ng lips at un staying power...well dun n lng tau s tlgng love n love ko lng un pgkared nia at for me the best shde ng Red kya ko xa pingipunan, perfct lng n pang rampa! Btw I love this blog and this could be one of my favorite blog of yours Ms. Martha, I just have to wait at naeexcite n aq s skin care, mas skin care fanatic aq! But this was so good dhil ngyn p lng my idea n aq kng anung mga prodct un worth bilhin na magagamit ko s 2018 at least naksave aq khit paano unlike this 2017 mdyo my mga nasyng lng kc hndi match or I must say un quality hndi ko inexpect n gnun, lesson learned n aq ngyn! Thank you so much Ms. Martha for this great and one the best article I've ever read for this 2017! Hi! 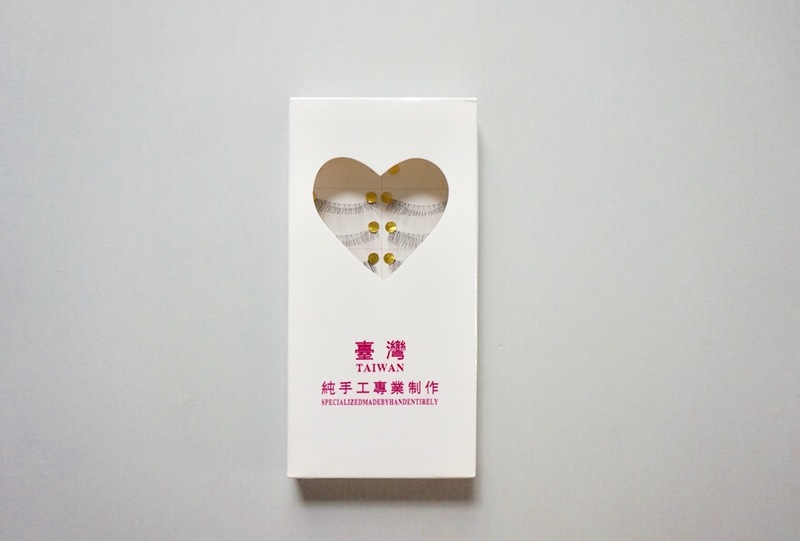 Where do you buy your Taiwan falsies? Thanks! This is a great entry! ok..they're awesome and super thumbs up lahat! I may not have them, poor me..but I got to see them , how they works and alam ko na mga right use nila! Best beauty products this 2017! can't wait sa 2018!! OMAYGAAAAAAAAAAAAAAAAD I'm super hyped as I was reading through this post! You did an amazing job in being as accurate as possible when i comes to describing the products! This is such a big help. I've been a fan of these kinds of posts and/or videos from vloggers stating their best and/or worst picks for the year. Thank you so much! 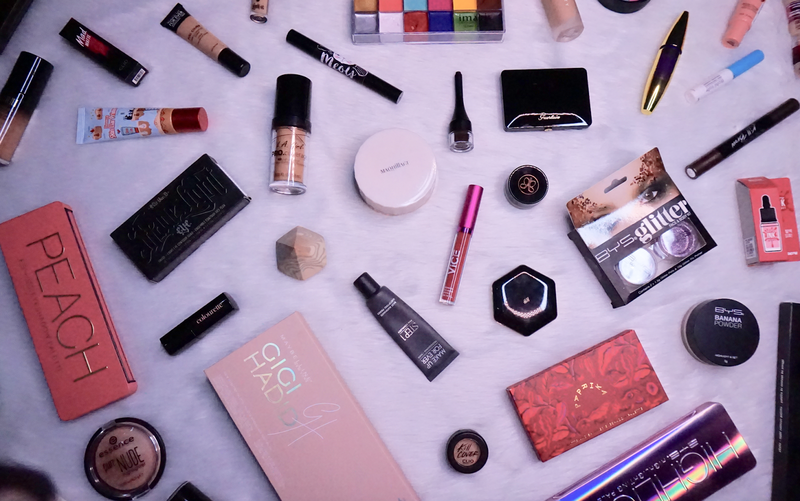 This list is so complete with all the products one must own at least once. I'm now really excited to save up for the ABH Modern Renaissance Palette. I can't wait for your best skin care, hair care, fragrance, and nail products of 2017. I've ran out of my former mascara and I'm in need of a new one. I've been hearing good reviews about the Maybelline Lash Sensational Mascara but I was hesitant at first. I'm now planning on buying it since you mentioned it's the best mascara of 2017! You surely have amazing picks! Thanks for this, Ms. Martha! Wow Po para sa lahat.. Hindi ko Po masabi ang best product ko Kasi tag Isa lang Po mga make up ko. Hoping maging ganyang Ang make up ko madaming option. 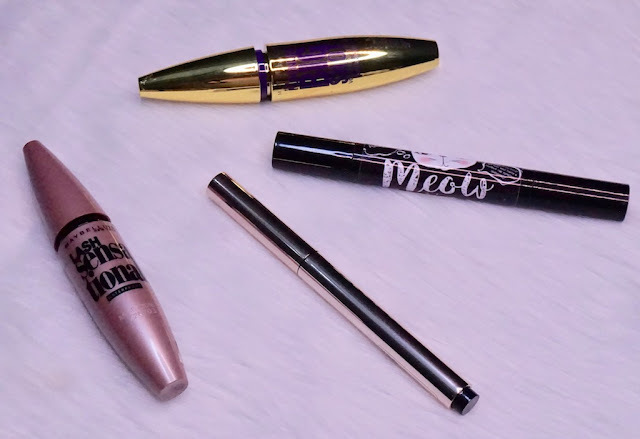 Maybelline Age Rewind best consel ko and Big Shot Mascara Ni Maybelline Ang best. Sana maka try din ako gumamit NG iba.. It's nice to see local brands in the list like Colourette, Skinpotions and the newbie in the industry, Vice cosmetics. I noticed, ang daming entry ni BYS ha! Mukhang marami silang mahusay sa products. I really want to try the Peripera Airy Ink Velvet. Parang ngayon ko lang nalaman yun Jordana powder. Kelangan pala masubukan yun. OMG this post is just amazing! You've reallt done a great work in this article Miss Martha! 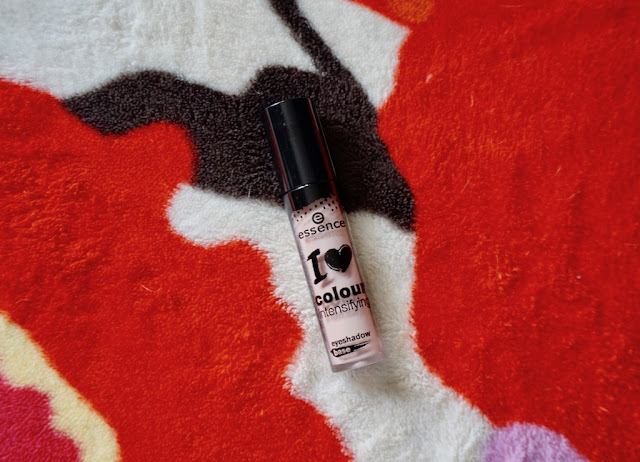 Agree with Colourette, a brand to watch out for. 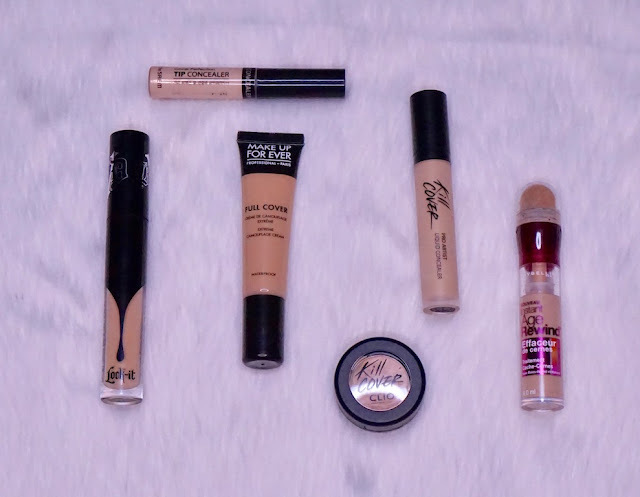 This post makes me wanna try BYS creme foundation and velvet lips liquid lipstick. Will add that to my BYS haul.